Fox News anchor Chris Wallace laced into Donald Trump’s anti-media rhetoric Thursday night, calling the president’s scathing press criticism “dangerous” and warned that the billionaire was actively undermining the U.S. Constitution. Wallace said he agreed with Navy admiral Bill McRaven who said Trump’s language posed a constitutional threat. “He said we swear an oath — the president did and he did — to the Constitution and the freedom of the press is the first amendment to the Constitution and when you call us the “enemy of the people” you’re undermining the Constitution. I completely agree,” said Wallace. The comment drew cheers from Colbert’s audience. Wallace also defended Trump, including his tough immigration talk. “The idea of three or five or seven-thousand people from another country can just walk up to our border, knock on the door and say, ‘We want in, we want to take jobs here, we want to work here.’ No!” said Wallace. Though Fox News is widely known for its more sympathetic coverage of Trump, a number of their anchors and hosts have been known to break ranks from time to time. 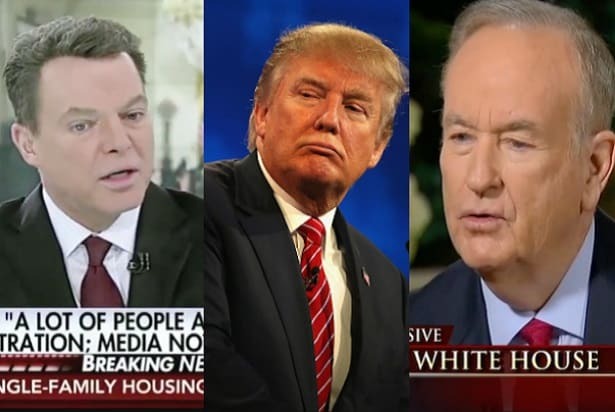 In addition to Wallace, Shepard Smith has made headlines for his tough pushback against Trump and for occasionally fact checking his network’s own opinion hosts.